Lance is a very disciplined and ambitious young man. Eager to keep up with his parents (who possess similar qualities) he has determined to join in their activities with good enthusiasm. Hearing of plans to rise early and beat the hurricane on today’s training run and not wanting to miss out on the action, he set his alarm for 3:55 – 5 minutes before his parents were due to arise. Lance fueled up while his parents downed some bananas and graham crackers with peanut butter, he was snugly strapped into his training stroller and they were off – on a 14 mile endeavor! The highlight of today’s run was a tour of Texas Stadium! 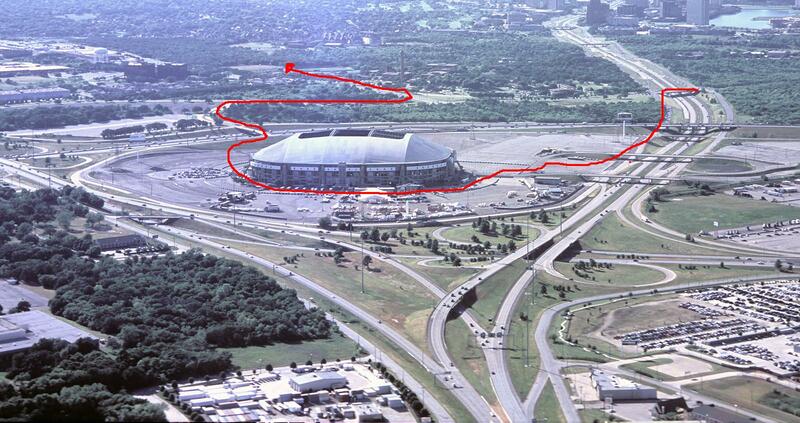 The red trail shows about a mile of our course, coming in from the left and heading home out the back of the stadium. Back at home Lance filled his depleted energy stores by eating a double helping of rice cereal and his new food – oatmeal! Not one to take things easy he then helped with house cleaning….by making messes to be cleaned up. Lance also helped make lunch by watching the popcorn as it popped. 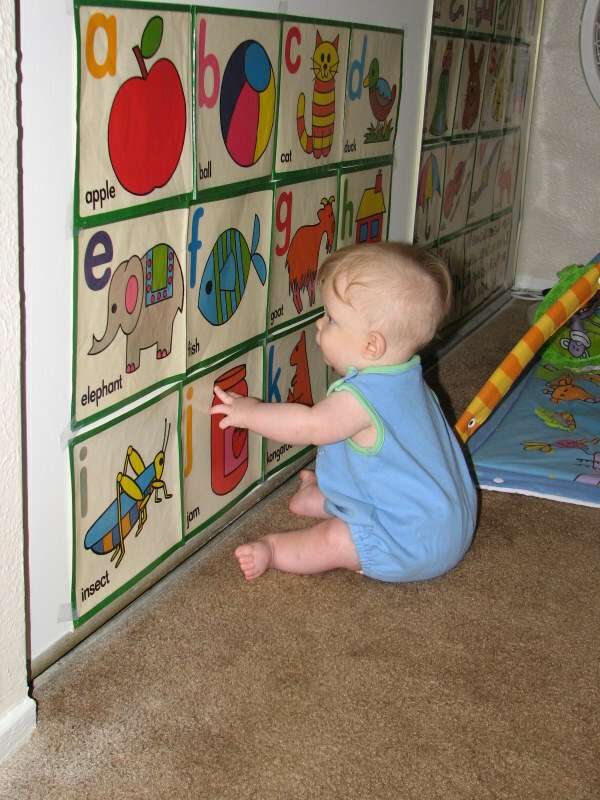 After naptime (where mommy got most of her work done) Lance worked on his letters. 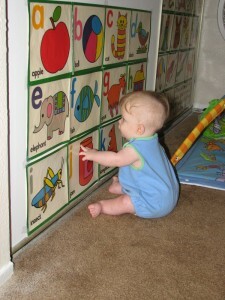 He is now typing up this blog report and will then read with Mommy or kick back for a little break on his play mat.